Following on from my post on Friday about Gradle. I decided to get started with the Early Access Preview of Android Studio (v0.2.9). My Android Call Location project has been dormant for some time so it's the perfect opportunity to try out the new tools whilst also updating the project to work with the more recent Android API. 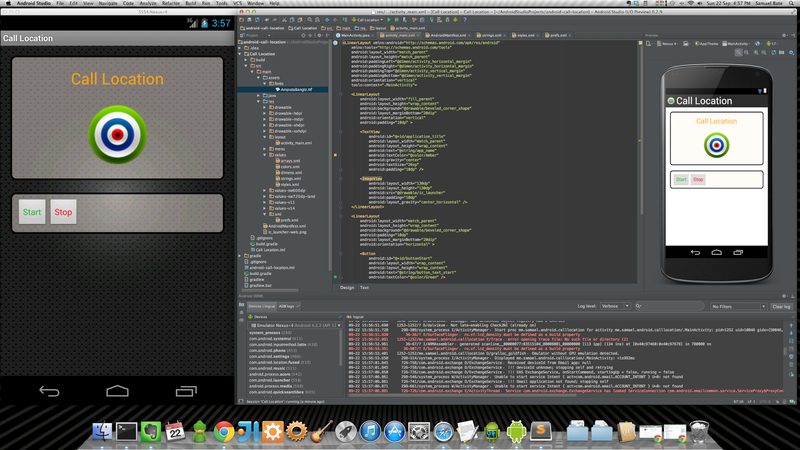 So far I'm very impressed with the integration between the Android SDK and Intellij IDEA. It only took a few minutes to get my project working in an emulated Nexus 4.